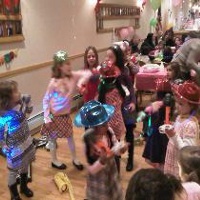 What better way to spice up your kids party than by hiring kids party DJs in NY? If your kids like to dance, sing karaoke or just jam out, NY kids DJs are a great choice to have at your next childrens birthday party. Find entertainers in NY who will play games and activities with your kids during their birthday party using KidsParties.Party. 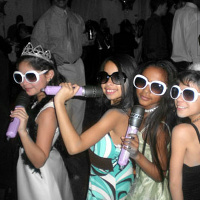 They have the top kids DJ entertainers for hire in NY. These kids DJs in NY have over 22 years of experience in making kids parties special. Their DJs know how to cater specifically to their young audiences and will be fun, interactive and get everyone up and dancing. Small World Entertainment's DJs will bring their own professional sound equipment and lighting with them to your venue. With over 30,000 songs from which to choose, they are sure to have your kids favorite songs. Book a special DJ package and have a party entertainer accompany the DJ and do face painting, temporary tattoos and balloon twisting! These Expert DJs Lead Music and Games! 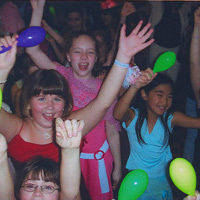 The party music professionals at Good Vibrations will help make your child's party an unforgettable event when they get everyone moving and dancing. Fun kids music games and dances such as the Chicken Dance, Hokey Pokey, Cha-Cha Slide, Limbo, Freeze Dance and much more will get every child at the party engaged and having a great time. 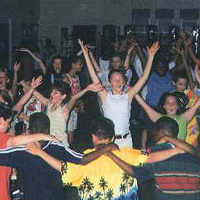 These expert kids DJs NY offer several party packages so you can decide what is best for your party. Whether you'd simply like background music or want a party entertainer who will play games with all the children, they can accommodate your desires. If you're looking for a fun kid-friendly way to liven up your next child's party, hire DJ Johnny K to bring the entertainment! 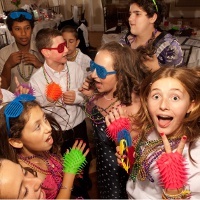 Hours of non-stop music fun await when you hire this New York kids DJ. Choose one of the party packages offered by this professional DJ and decide how many games and dances you would like, whether or not you'd like prizes, if you'd like a disco mirror ball and lighting and more. 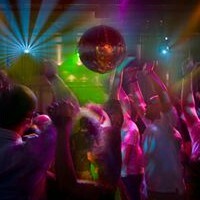 DJ Johnny K can also set up and lead karaoke for an even more interactive party. Children love getting their own chance to shine in the spotlight. Whether you want an unobtrusive DJ keeping the music going or you want one who will get the children engaged and dancing, Expressway Music can accommodate you. These pro NY Kids DJs are expert at leading kids karaoke parties where everyone will have a blast taking turns singing their favorite songs. Over 15,000 karaoke songs to choose from mean everyone will be able to find a favorite. These great DJs can also lead music games and dances, run trivia games, perform magic and more, just choose the package and add-ons you want to make your party fun and unique. If you're tired of the usual kids party entertainment, try something a little more unique and catered to your specifications. Double Image Sounds and Entertainment will lead the kids at your party in fun games and dances such as the Chicken Dance, limbo, parachute, the Hokey Pokey and more! You won't have to wonder if everyone is having fun when you have NY childrens DJs entertain at your child's party - you'll be able to see that all the kids big and small are having a blast dancing, singing and playing. This vibrant entertainment company will have the kids at your party engaged from start to finish with popular kids songs, games, special effects such as confetti shooters and bubble machines and more! Kids can request their favorite songs from the DJ and have a blast dancing to today's hits. When you hire these kids DJs NY to do their Kids Disco Party package, they will play trivia games, DJ American idol, tricycle races, parachute games and more that will keep the children laughing and having fun. Cha Cha Slide, YMCA and more Fun Songs! These party DJs will make your child's special day even more fun when you hire them to take care of the musical entertainment. From keeping the kids entertained at a christening party to bar/bat mitzvahs and sweet sixteens, these great kids DJs in New York can cater to all ages. Every child is guaranteed to have a blast playing games such as limbo, hula hoop, musical chairs, potato sack racing and more! Good Times Productions' DJs will play fun songs and dances that are appropriate for children. Great Party Packages from these Entertainers! Hire these consummate party entertainers to DJ at your child's party. With a play list of over 30,000 songs, they are sure to be able to accommodate any requests the children have. Tons of musical games will keep children of all ages entertained as these kids DJs keep the music going from start to finish. In addition to their disc jockey services Just Kidz Fun offers clown entertainers, face painting, balloon twisting, magicians and inflatable rentals to make your party great. Fun for Kids and Adults! These Bronx based party DJs have experience in entertaining at a wide range of events from weddings to school events, so you can be sure they'll make your kids party a hit. 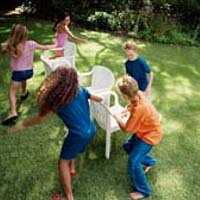 When you hire these pros for your kids party they will play musical games with the kids and give out prizes! Even the adults at the party will enjoy themselves as they listen to the non-stop music provided by these NY kids party DJs. Priding themselves on striving to make your event run smoothly, Toro Party DJs promise professional, classy and reliable service. Several DJ Packages from these Pros! 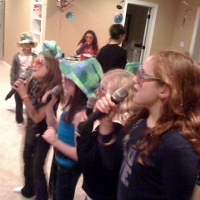 Hire these party pros to entertain at your next kids party! 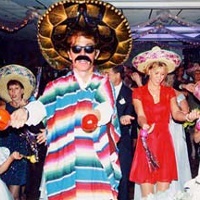 They offer several fun party packages so you can choose what's right for you. They can accommodate your desires whether you'd like kid-friendly music for the children to dance to from start to finish, or you'd like add-ons such as DJ led dances and special effects. Having a DJ at your kids party will be a fun and unforgettable experience for all. Even adults can have fun with the hip music and rocking beats.